Wall-Nut Creek’s 3,900 square feet of climbing wall is housed in a 130 year old dairy barn. With 3 separate bouldering rooms up to 15 ft. and a large rope area up to 30 feet tall there is more than enough climbing to keep any climber busy. Check here for special events and weather closings! We will be closed July 23 due to the high temperatures. ATTENTION!!! The link to google maps is incorrect. Please use the address 27563 530th Kelley, IA 50134 when looking up the location of the gym. So you can stand here. Wall-Nut Creek wants to make a rock climber out of YOU. From the climbing walls to the class room, WNC is here to make you a stronger, self sufficient climber. WNC is outdoor driven. We view the climbing gym as a tool to become better outdoor climbers. With that, educating climbers in outdoor skills, rope skills, and outdoor awareness is essential to maintaining our creed. WNC is known for its community of climbers. It wouldn’t survive without them. Climbing with our dedicated community will give you the support you need to get to the next level. WNC is for new climbers. Whether it is your first time, you want to get more serious about climbing, or you are looking for a fun way to get in shape we can help you along your way. Come check us out! Ken moving up the “prow”. 1. New customers must fill out a waiver of liability. If you are under the age of 18 you must have a parent or guardian present to sign the waiver. 2. Pay for a day pass and any rental fees. 3. 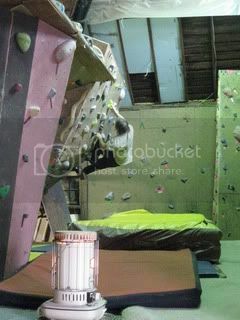 After a quick tour and review of the gym rules, you are free to use the bouldering areas. …I already know how to belay? You will need to pass a top rope belay test. There is no charge for the test and the certification is good for one year. …I don’t know how to belay? Option 1: Wall-Nut Creek offers a staff belay for $5. That entitles you to three top rope climbs. Option 2: Wall-Nut Creek offers an introduction to rock climbing class, Rock Climbing II that costs $35. …I already know how to lead? 1. You will need to have a WNC belay pass. 2. You will need to pass a WNC lead test. 3. You will also need to have your own lead rope and quick draws. Wall-Nut Creek does not rent lead equipment. …I want to learn how to lead? 2. 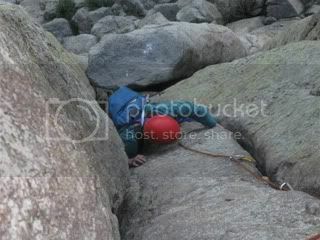 After a skill assessment, the WNC staff can offer the Lead Climbing I that costs $50. Ashley has been involved with the gym for 9 years. He has been the owner of WNC for the last four years. Ash got his start in climbing with the gym in 2001. 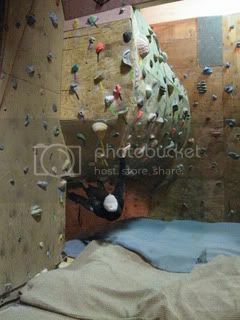 Outside of the gym, his climbing pursuits are in adventure climbing and gaining alpine experience. Emily has been climbing for 4 years. 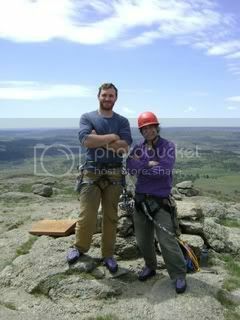 She started out with gym climbing and is quickly expanding her outdoor rock and back country skills. Outside the gym Emily enjoys art and music. Keep in mind that the gym is housed in a century old dairy barn. It is somewhat insulated, but it can still be a little drafty. We turn the heat on when we arrive to open, so it will be around the same temperature that it is outside right after opening. Generally, the temp. inside will be around 20 degrees warmer than it is outside, depending on the wind. Plan on dressing in layers so that you can add or remove them as you warm up or cool down. The temperature in the gym is quite comfortable once you are climbing. Also, with the cooler temps the friction is awesome! - When dressing in layers, start with some long johns. Add fleece or a mid-weight insulated layer over your base layer. If you aren’t climbing a lot, a goose down or synthetic parka is nice to keep the muscles warm between climbs. Be sure to wear a stocking cap, and if you can fit a warm sock in your climbing shoes, that will help keep your toes warm. - Put a hand warmer in your chalk bag. - Don’t stop climbing. You will be amazed at how warm you stay just from climbing. - If the air temperature is predicted to be below 10 degrees or the wind chill is below 0 degrees at the time the gym is supposed to open, we will be closed. - Drifting snow can be a major problem on the road to the gym. In some cases it can take a day or two for the county to get the road plowed. I will announce on the site if the road is impassable and we will be closed. - Ice storms not only make the road impassable but can knock power out to the gym. - Keep the gym number handy so if you get stuck on the way out we can hopefully help get you back on the road. Please check the top of the page for updated closings due to temperature or winter storms. For more up to date announcements, become a fan of WNC on facebook! Hey…climbers are supposed to be tough, so don’t let a little cold weather slow you down!